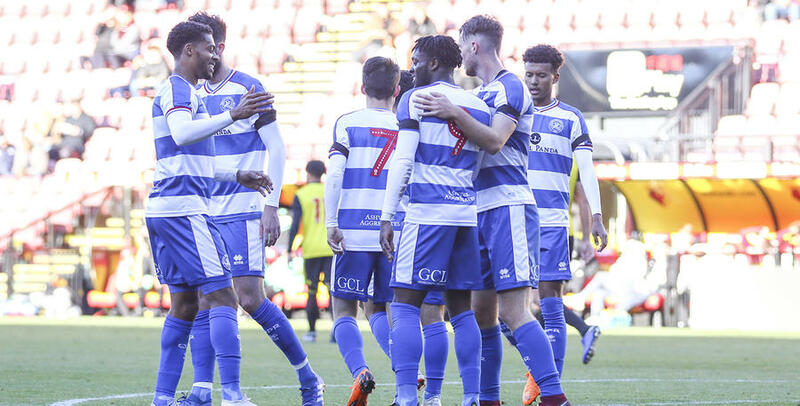 QPR UNDER-23S ran riot with a devastating display at Watford on Monday. Paul Hall’s side blew away their hosts, racking up five first-half goals at Vicarage Road with Ilias Chair, Bright Osayi-Samuel (2) and Aramide Oteh all on target. 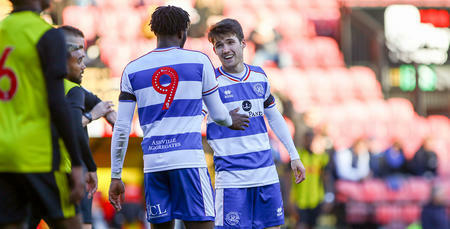 Paul Smyth added a sixth in the second-half either side of two consolation strikes from Watford, as Rangers cruised to a comprehensive away win. Rangers began brightly, although it was Watford who created the first opening. 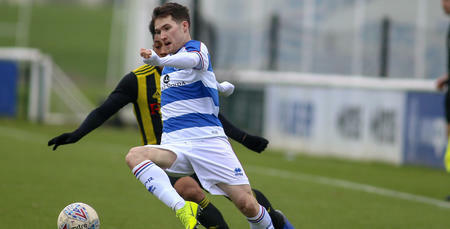 Harry Forster threaded a ball through to Michael Folivi, who was denied by Marcin Brzozowski with a superb reflex stop. Thereafter, it was one-way traffic early on. Smyth could have fired Rangers in front but he volleyed Niko Hamalainen’s inviting cross over, before Hamalainen himself was denied when his header from Darnell Furlong’s centre was kept out by Dante Baptiste in the Hornets goal at point-blank range. Rangers weren’t to be denied, though, who made the breakthrough moments later. Chair made room for himself 20 yards out before drilling a shot inside the left-hand post. Chair came agonisingly close to an instant second too. His next attempt beat Baptiste but was hooked off the line by a Watford defender. They didn’t have to wait long, though. From the R’s next attack Smyth’s electric pace saw him sprint clear down the right before crossing for Osayi-Samuel to convert six yards out. Two soon became three. After Watford were adjudged to have handled in the area, Oteh dispatched the resulting penalty with ease. There was no let up from Rangers, who struck twice more before the break. Oteh was in the right position to tuck away his second after Chair was denied by a post, before Chair turned provider to tee-up Osayi-Samuel for his second and the R’s fifth. Watford did manage a response – pulling one goal back early in the second half courtesy of Forster’s finish at the far post. It only seemed to spark Rangers back into life, who quickly restored their five-goal cushion. Smyth, who had moments earlier been denied by Baptiste, got on the scoresheet with a neat finish into the far corner from 12 yards. They almost added a seventh on the hour-mark. Half-time substitute Deshane Dalling saw a header saved by Baptiste, who also smothered the winger’s rebound. Instead it was Watford who completed the scoring – Ashley Charles with a piledriver from 20 yards. Rangers created further openings late on but ultimately settled for six. QPR U23: Brzozowski, Furlong, Hamalainen, Goss, Phillips (Wells 71), Kakay, Smyth (Alfa 73), Owens (Dalling 46), Oteh, Chair, Osayi-Samuel. Goals: Chair 13, Osayi-Samuel 19, 42, Oteh 31 pen, 37, Smyth 55. Images courtesy of Ian Randall.